The Calgary Flames will retire former captain Jarome Iginla's No. 12 during a ceremony on March 2 prior to a game against the Minnesota Wild. 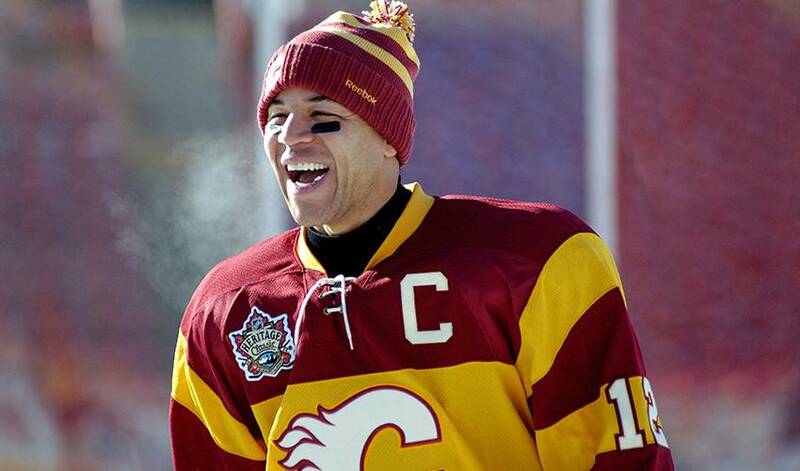 CALGARY — The Calgary Flames will retire former captain Jarome Iginla's No. 12 during a ceremony on March 2 prior to a game against the Minnesota Wild. The native of St. Albert, Alta., retired from the NHL after a 20-season career last July. "It's humbling, a huge honour, a thrill and to be honest, a little bit surreal," Iginla said in a statement. "I am extremely grateful to the Flames ownership and organization for bestowing this tribute on me and my family. "I'm looking forward to it but I don't know what to expect or how I'll handle my emotions. I'm obviously very excited but I think now that my kids are really into hockey and the NHL that it's going to be so neat to share it with my family. To have them there, and friends, alumni and of course with the fans will really make the day special."